When was the last time you had your security system checked? The importance of having a regular security system check! 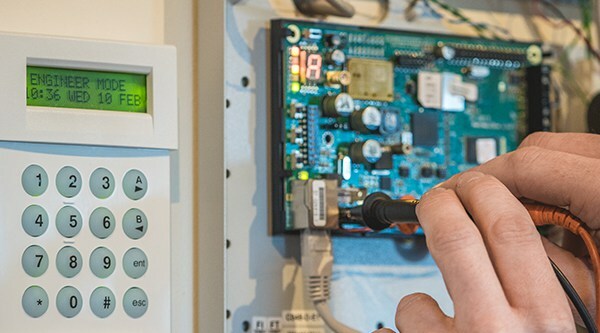 Having your security system regularly maintained is vital for the efficient running of your intruder alarm / CCTV or door entry system, by having a yearly maintenance visit our engineers can prevent those annoying and alarming breakdowns, and we all know that prevention is better than cure (It’s less costly too). With the movement in technology and wire free being everywhere within the industry all wire free systems are battery operated which means a battery’s life is not forever. As soon as a system battery runs below it alerts the control panel which then alerts you, the last thing you want is a low battery warning sounding at 2.00 am in the morning. Secondly, it is important to ensure continuity of your insurance compliance and many insurance companies state that security systems need to be regularly maintained. For example, if burglars managed to enter your home or business making off with some valuable equipment, you would of course make a claim for stolen goods and damage. But if your security alarm or CCTV, access control had let you down because of poor maintenance, your insurers could be justified in not honouring the claim, leaving you to find another way to replace what had been lost. For police monitored customers it is a police requirement that the system is checked twice a year by a qualified alarm maintenance provider. Then there are fire regulations and health and safety legislation. Compliance with these can all be affected by poorly maintained systems. What if a fire broke out and your emergency exit button did not activate the door release? While doing what you can to keep people with malicious intent out of your premises, you have a responsibility to keep your staff safe while at work. If health and safety inspectors find something wrong they can charge you £120 an hour for the time they spend investigating and helping you to put things right. The risk of situations such as these becoming a reality are all minimised with full and regular maintenance checks. If you have people on site qualified to maintain your systems, you need to have maintenance policies and procedures that are documented on an ongoing basis. If you don’t have the skills in-house, you need outsourced professionals to perform the tasks for you, providing you with a record of all the checks carried out and confirming all parts of the system are operating correctly. At All Secure Security not only do we offer system takeovers and maintenance contracts we also offer one off system check overs of your system; our qualified engineers will inspect all aspects of your system to make sure it is operating correctly. For our customers with maintenance contracts we offer 24-hour telephone assistance and engineer response for fault diagnosis and repairs. If you have a system that has not been serviced or maintained in a while or you would like a one-off visit to check over your current system, please get in contact with us by telephone or email to discuss your options. We also offer free no obligation quotes in case you think it’s time to upgrade your system.